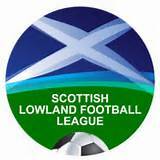 The Lowland League was formed for the 2013/14 season to give senior football at tier five for ambitious clubs in the south of Scotland. Spartans were the inaugural champions and this season the constitution was expanded to fourteen clubs with an end of season play-off against the Highland League champions. The winner of the play-off will then contest a further play-off against the bottom side in the Scottish League Division Two. 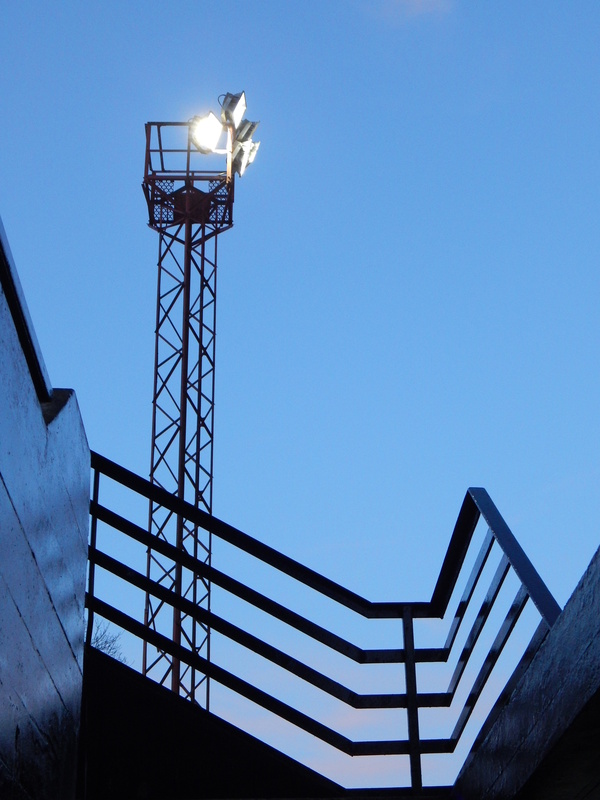 This finally gives a route to Scottish League football for progressive senior clubs. 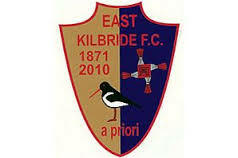 A relatively modern club East Kilbride were formed in May 2010 by the formal merger of Stewartfield and Jackton Boys Club. The club was the vision of two South Lanarkshire men, James Kean and Iain King, who had supported the town’s junior club, East Kilbride Thistle, for many years and had strived to see them turn senior. Having set up a plethora of youth teams for Thistle the two men finally gave up on Thistle and decided to form their own club. Ex Celtic player John Hartson was appointed honorary president and the new club sought to raise set up funds. The club applied to the South of Scotland League for the 2013/14 and were elected in May 2013. Less than a month later the new club were drafted into the membership of the new Lowland League. A successful first season saw East Kilbride win the South of Scotland Challenge Cup, defeating Dalbeattie Star 2-0 at Palmerston Park. 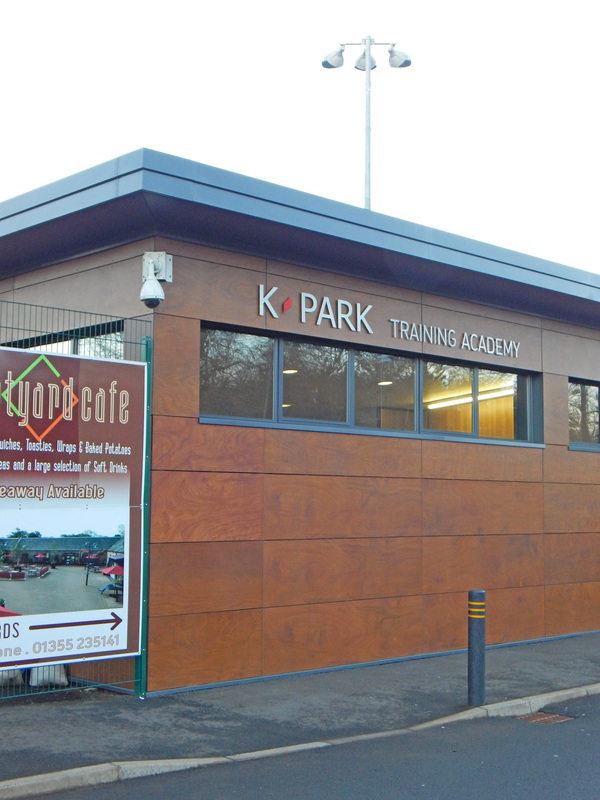 East Kilbride currently play at the K Park training facility, opened in 2011, which has a restricted capacity of 500. The facility is located within the Calderglen Country Park. The plan is to find a location suitable for a new stadium for the new town’s new club. The Junior club, Thistle, continue to play The Showpark in Maxwell Drive. The small and ultra modern venue is rammed tonight and the low slung stand is standing room only. An evenly contested match sees East Kilbride secure the points with a goal twenty minutes from time. 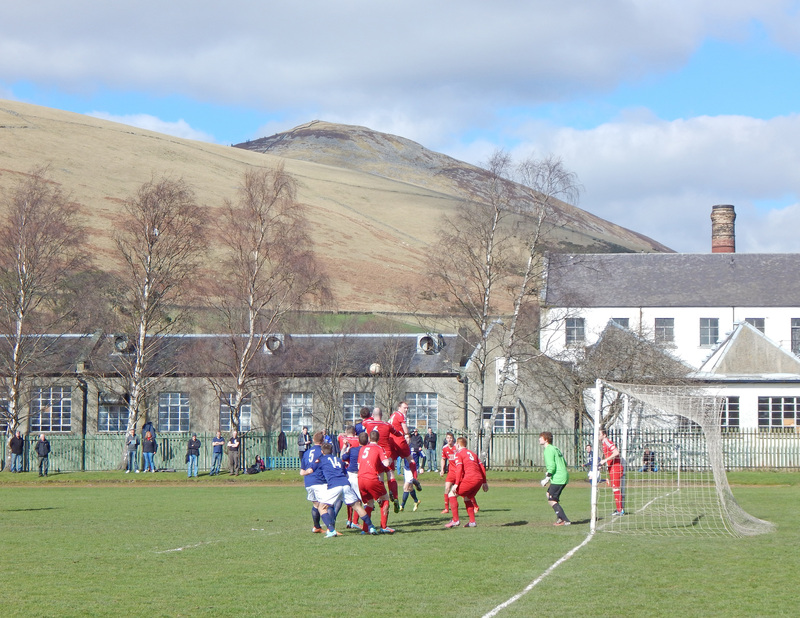 The club from Innerleithen were formed in 1891 initially as Leithen Vale FC. Vale of Leithen joined the SFA in 1897 and have been members ever since save for a brief spell in the Juniors in the 1920’s. The clubs first ground was at Caddon Park opposite a slaughterhouse. In1922 Vale moved to their present ground at Victoria Park, bringing the wooden pavilion and dressing rooms across town with them. The pavilion gave sterling service at its new home until destroyed by fire in 1974 which sadly saw the club lose its historic records. 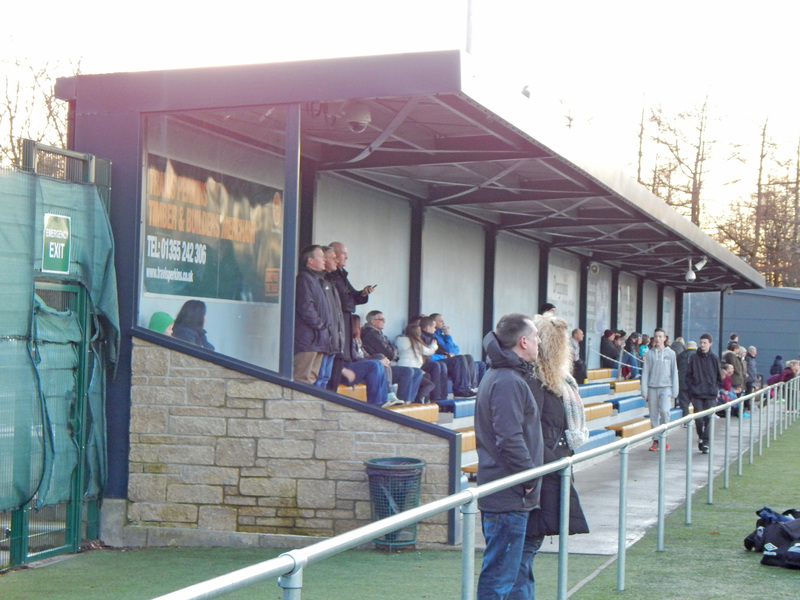 Victoria Park also originally had two stands, and the one that remains, with a more modern re-clad roof, sits in the middle of some extensive terracing. The club’s impressive crest depicts St.Ronan patron saint of Innerleithen and a folkloric figure in the Borders. Vale spent many years in the East of Scotland League being champions on four occasions, most recently in 1986/87. This morning’s encounter sees Vale hosting Preston Athletic who lie second from bottom in the table with just two wins all season. However, it is the visitors that dominate the game throughout and run out comfortable winners by two goals to nil. 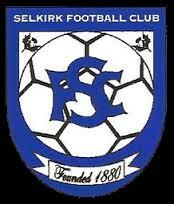 Formed in 1880, Selkirk are the oldest established football club in the Borders region. Despite their long and successful history they are invariably linked with a day in December 1984 when a Scottish Cup tie with Stirling Albion resulted in the biggest margin of victory in a British senior football match in the 20th century. Selkirk were five down at halftime at Annfield before their young keeper, Richard Taylor, conceded another fifteen in the second period. To compound the infamy the whole sorry match was recorded in full by the BBC for a documentary on the Scottish Cup. In truth the club were treading water at the time, they had dropped out of the East of Scotland League temporarily and had to field a makeshift side in the Scottish Cup in order to maintain their qualification for the competition. Prior to that crushing day Selkirk had enjoyed better times including winning a hat-trick of East of Scotland League titles between 1975 and 1977 and even hosted the French national team in a warm up game for the 1966 World Cup. 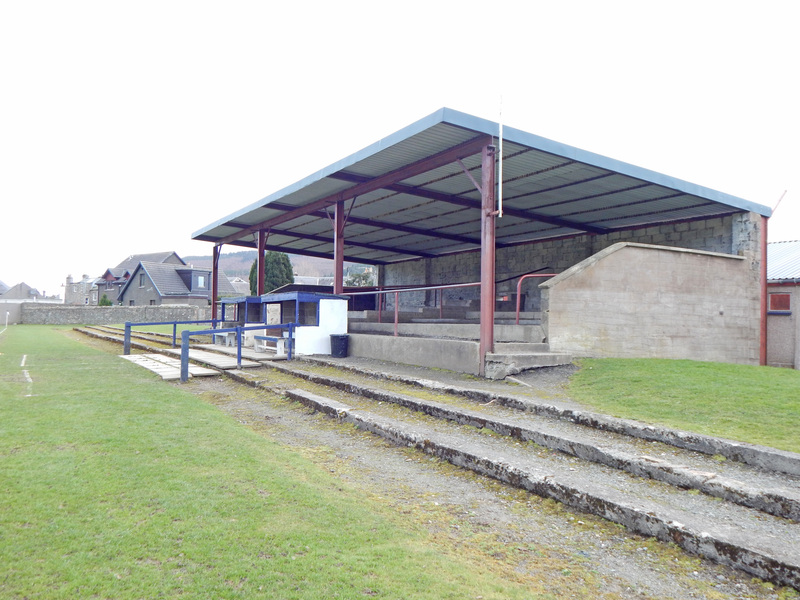 In their formative years the Souters had a fairly nomadic existence playing at the Cricket Field, Angle Field, Linglie Field and Raeburn Meadow before acquiring the site that became Ettrick Park, their home between 1906 and 2000. Initially the facilities were poor, the original pavilion was described as windowless and bathing was provided by a bucket of water drawn from the nearby River Ettrick! A proper pavilion was opened in 1937 and the East of Scotland successes of the 1970’s bought further improvements to the venue. 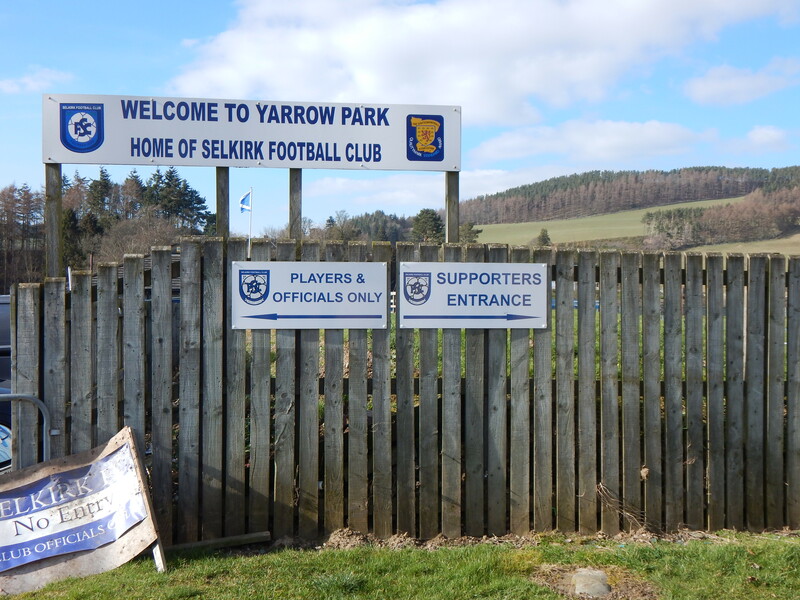 In February 2000 Selkirk moved to Yarrow Park adjacent to the impressive Philiphaugh, home of Selkirk RFC. For many years the new venue was relatively undeveloped, the turnstiles, stand and terracing are as recently built as 2013. Today’s game sees the visit of defending champions Spartans to Yarrow Park and a keenly contested encounter sees a share of spoils in a 1-1 draw. Selkirk are very welcoming and seemed to enjoy their afternoon as much as their guests. 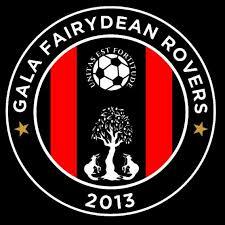 Gala Fairydean Rovers are the result of a 2013 merger between Gala Fairydean (themselves formed in 1894) and Gala Rovers (a 1947 reformation of what was originally Fairydean’s reserve team). It was something of a surprise merger, the senior and amateur clubs were historically at loggerheads with each other. The combined club have now adopted the motto “Unitas est Fortitude” (Unity is Strength). Fairydean were eight times East of Scotland League champions and unsuccessfully applied for Scottish Football League membership on four occasions, two being since the turn of the current century. Fairydean played at Eastlands Park and Mossilee before moving into the new Netherdale enclosure in 1929. The complex also houses a rugby stadium used by Gala RFC and previously by the professional, but ill fated, Border Reivers side. 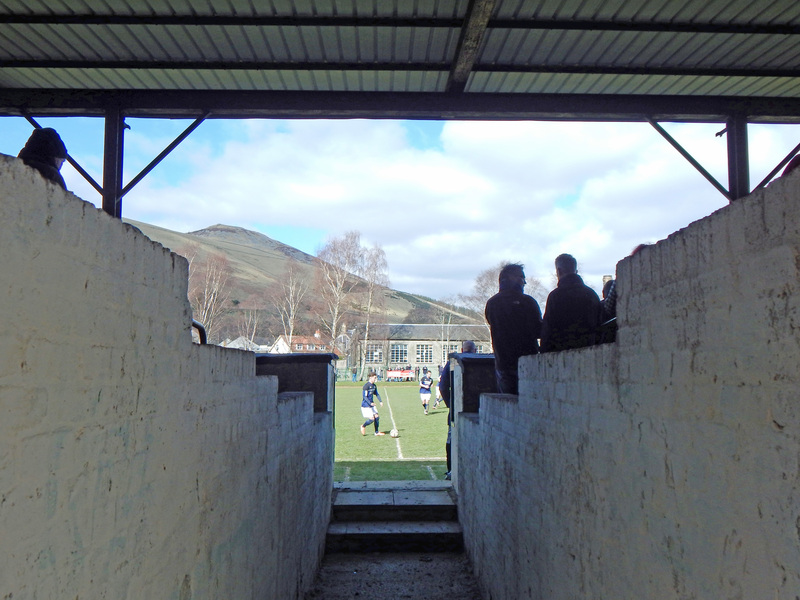 The main stand at Netherdale’s football stadium is a remarkable structure, brutalist concrete abounds and 450 people can watch the match and admire the Eildon Hills from its elevated position. 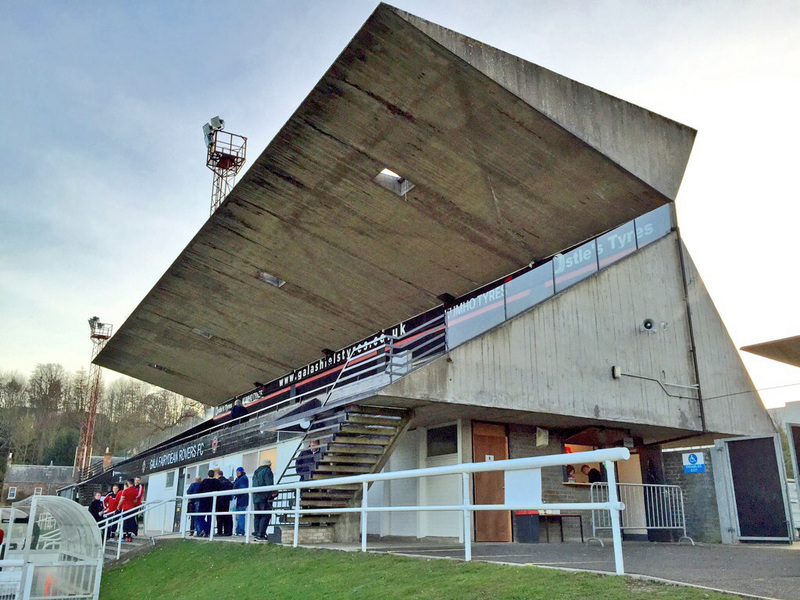 Opened in 1964 the stand was designed by renowned architect Peter Womersley and built by the Anglo-Dane, Sir Ove Arup. The magnificent edifice is now a Historic Scotland Category A listed structure. 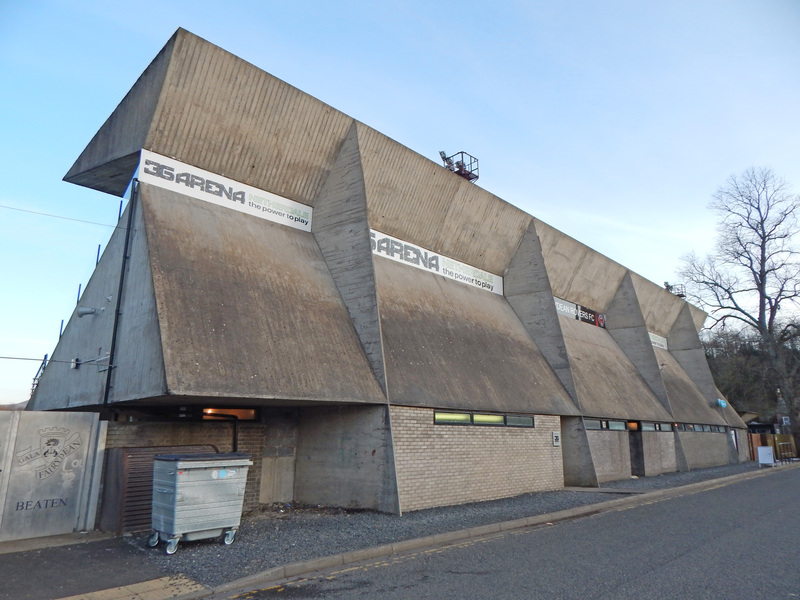 It was upgraded from B status in December 2013, Historic Scotland citing that the grandstand is “a significant work of late modernist architecture in Scotland”. It was only the second football stand in Scotland, after the Leitch stand at Ibrox, to be designated at architecturally important. At one point the grandstand was fitted with seats bought from Newcastle United, but these have subsequently been replaced by wooden benches. Netherdale has had a 3G pitch since 2011 and the club has done well to recover from a club room fire in December 2014 which saw the club lose some valuable memorabilia. Three local teenagers were arrested for wilful fireraising. The stadium is busy with activity in all corners and as the turnstiles click constantly its great to see some good organisation and everything in place to cater for the descending hoards. Gala fancy their chances against the visiting student team but are ultimately undone with virtually the last kick of the match. 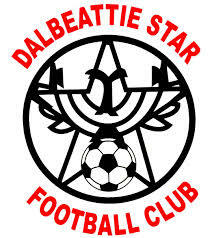 The original Dalbeattie Star were formed in 1905 although some records trace the name back to 1900. Within in two years Star had turned senior and gained membership of the SFA. At the time the club played at Colliston Park and became highly successful, winning the Southern Counties League five times in a row between 1929 and 1934. In January 1934 Celtic visited Colliston Park for a Scottish Cup tie and 2,376 watch Star beaten by six goals to nil. After five title wins unbelievably the club folded for a season in 1934/5 as Colliston Park was unavailable. They returned the next season using Maidenholm Park where another Scottish Cup tie, against St.Mirren, saw an all time record home gate set of 3,160 spectators. Star lost by a goal to nil. They subsequently returned to Colliston Park and it was in 1948 after being subjected to a surprise SFA inspection the club found themselves ejected from the league when “no goalposts were found in place”. 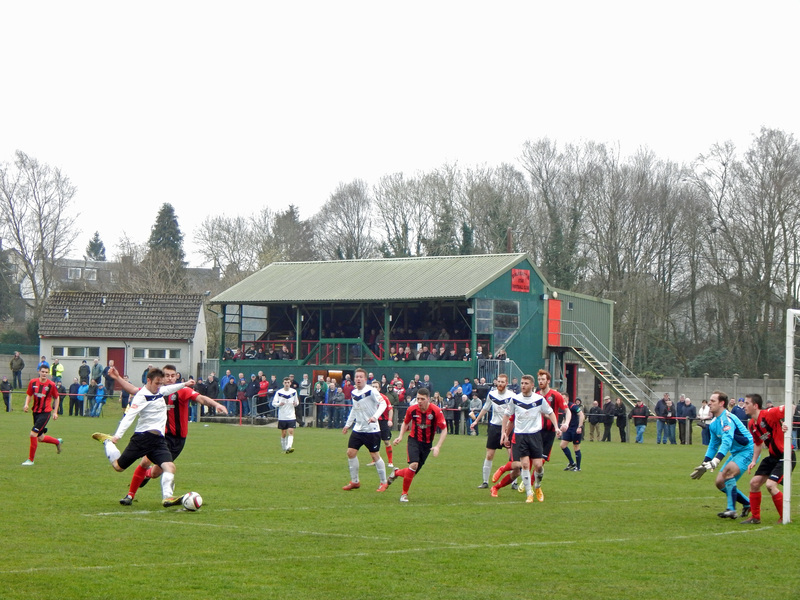 With no league to play in and mounting debts, Dalbeattie Star folded, seemingly for good. Fast forward to 1976 and a group of enthusiasts decided to revive the club and they quickly secured a tenancy at the Islecroft Stadium. The Stadium is part of Colliston Park, the former home of the club, and had been opened in 1950. 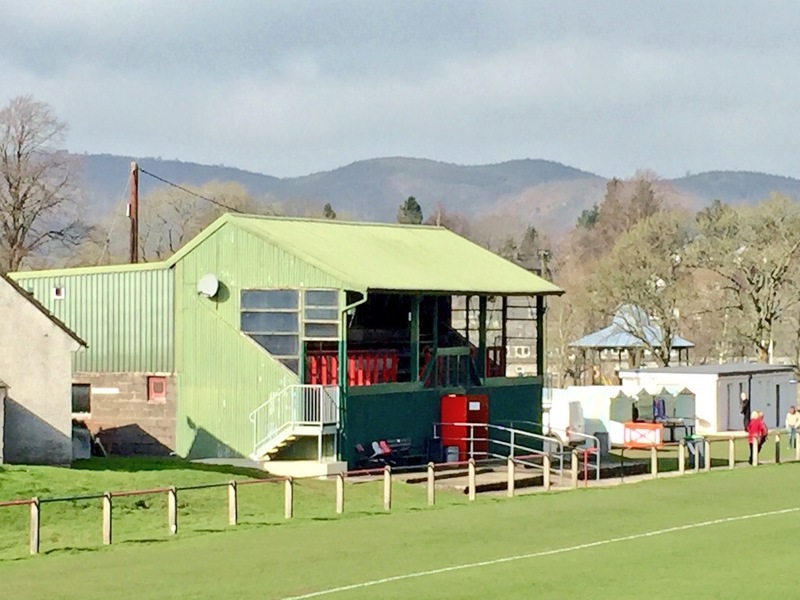 Fortunately the majestic wooden grandstand of Colliston Park had been re-erected at the new site, and although no records exist it is thought the stand dates from the 1930’s. The reformed club won the South of Scotland League and the Challenge Cup on five occasions before joining the Lowland League. Islecroft Stadium has a capacity of 3,500 with the magnificent grandstand being able to seat 300 spectators. 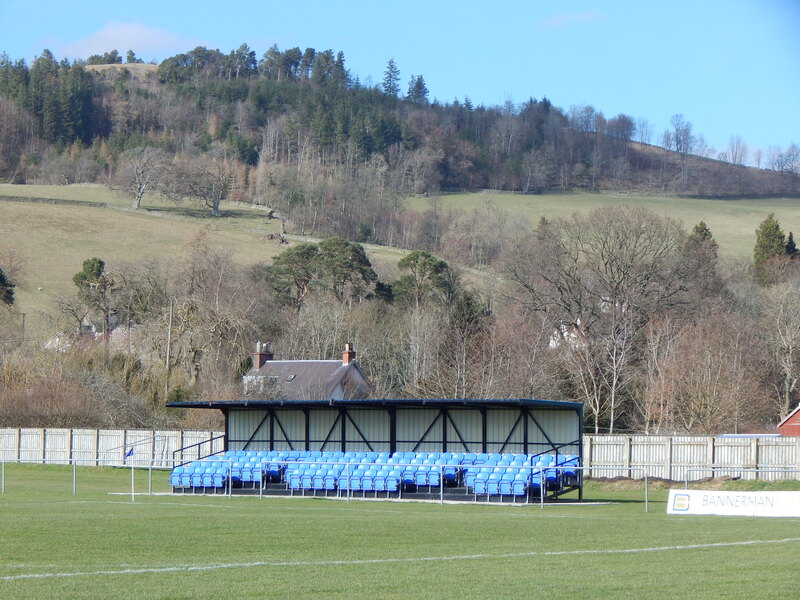 Dalbeattie Star secured a 99 year lease on Islecroft in 2008, and the venue remains one of the true gems of borders football. In today’s game the hosts are really up for a contest in front of a big crowd and after forming a guard of honour for the newly crowned champions the hosts promptly scored two minutes into the game. City did equalise on the stroke of half time but a penalty thirteen minutes from time inflicted the Champions first League defeat of the campaign. 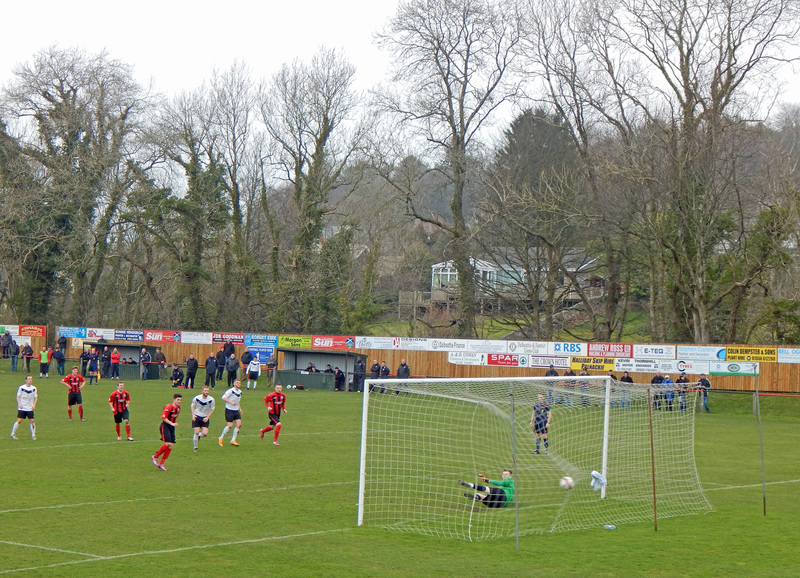 Threave Rovers play in the town of Castle Douglas not the small Ayrshire burgh of Threave near Maybole. The area around Castle Douglas has Threave House and Threave Castle (built in the 14th century by Archibald the Grim!) but the choice of club name was decided when the club was formed in 1953 during a meeting convened in the Threave tearooms in Castle Douglas. The club joined the South of Scotland League in 1959 and remained there until a decision was taken to join the tougher East of Scotland League in 1998. 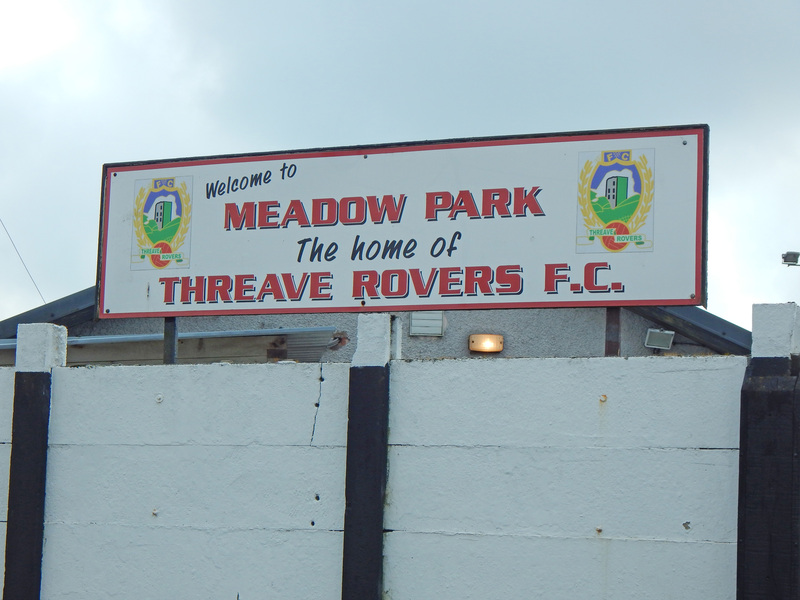 The stint was short-lived as traveling costs proved challenging and Threave soon returned to the South of Scotland League. Prior to their admission to the Lowland League Threave had won twelve South of Scotland championships including two title hat-tricks between 1992 and 1995 and then again between 2008 and 2011. 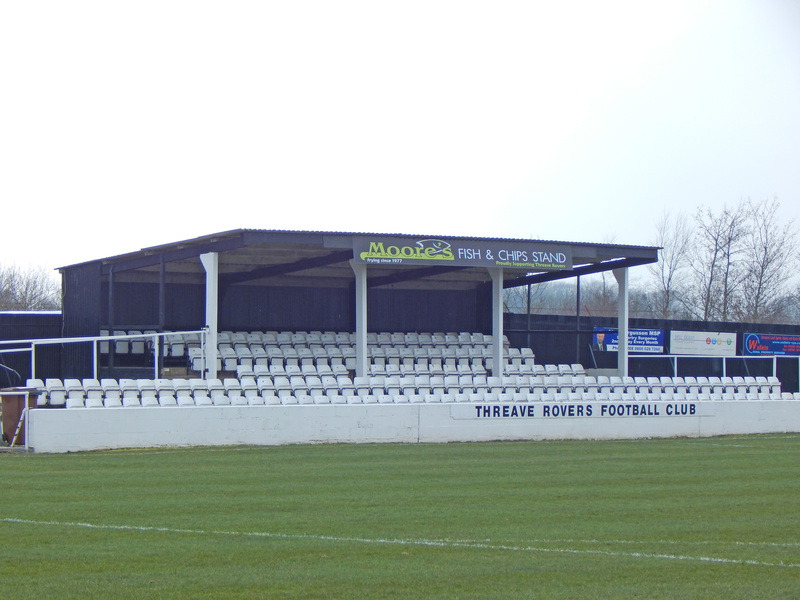 The club play at Meadow Park which has a licensed capacity of 1,763 with seating for 100 spectators. The ground looked majestic and everything is superbly organised for the big day, a real feel-good vibe enveloped the arena. Today’s game sees the hosts pitted against a young looking Edinburgh University team in what has been a tough season for Threave. What transpired was arguably the game of the weekend which was won by the students by the odd goal in five. It was a fitting end to a great weekend of Lowland League football, a credit to this new League and all involved. As people streamed out of Meadow Park for lengthy journeys home, one burning question remained however… why has it taken so long to set up a hop in this historic and beautiful land?